A novel about navigating life in private school while remaining true to yourself. 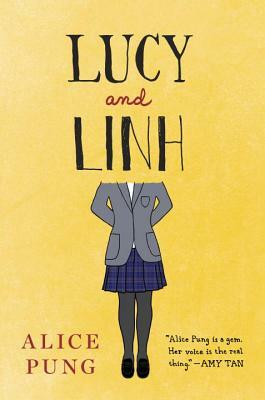 Lucy is a bit of a pushover, but she's ambitious and smart, and she has just received the opportunity of a lifetime: a scholarship to a prestigious school, and a ticket out of her broken-down suburb. Though she's worried she will stick out like badly cut bangs among the razor-straight students, she is soon welcomed into the Cabinet, the supremely popular trio who wield influence over classmates and teachers alike. Linh is blunt, strong-willed, and fearless -- everything Lucy once loved about herself. She is also Lucy's last solid link to her life before private school, but she is growing tired of being eclipsed by the glamour of the Cabinet. As Lucy floats further away from the world she once knew, her connection to Linh -- and to her old life -- threatens to snap. Sharp and honest, Alice Pung's novel examines what it means to grow into the person you want to be without leaving yourself behind.